The geese around Columbus are VERY friendly. People must feed them a LOT of bread. 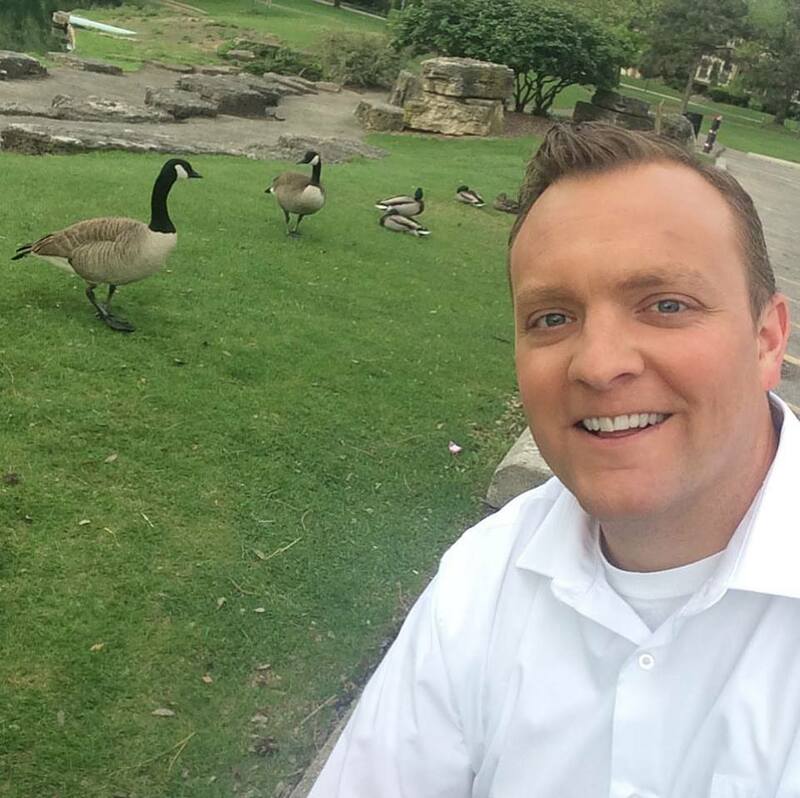 These geese helped me with my augmented reality weather yesterday. 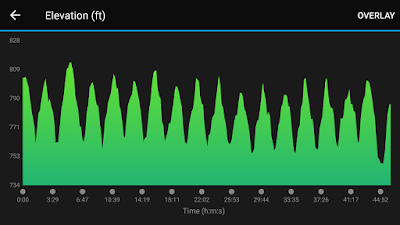 I remember reading from a local runner about keeping her chest back and head up when doing hills. EVERY hill I come to I think ABLU Always Be Looking Up ABLU Always Be Looking Up ABLU. Then I think… AB LU. Not a very fun sounding acronym. Sounds more like a baby’s coo. Which rhymes with ABLU. And by the time I realize it… I’m at the top. Yesterday I took my pain in waves. 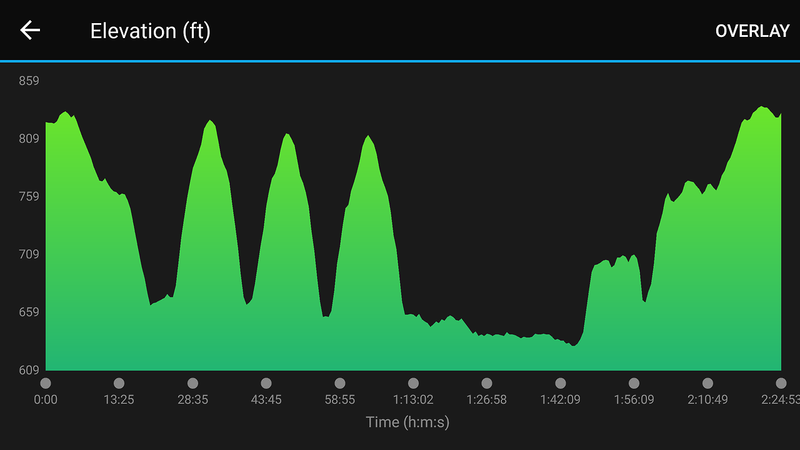 5 miles of hill repeats next to the dam since it’s the tallest hill I can find in a 15 minute drive. The next couple days will be SLOW and steady. I’m doing 6 today then 4 Thursday for a mini taper before the Cap City Half on Saturday. I’ve been on the fence about how hard to push myself. 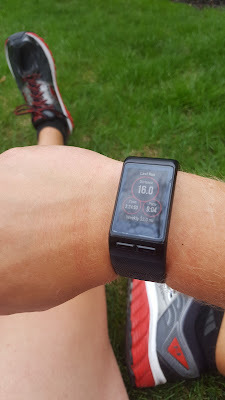 I think I could try to get 1:50 if I push myself, but I don’t want to trash my body or get injured before the Full in 5 weeks. So my A++ goal is 1:50 and my A+ goal is 1:55. 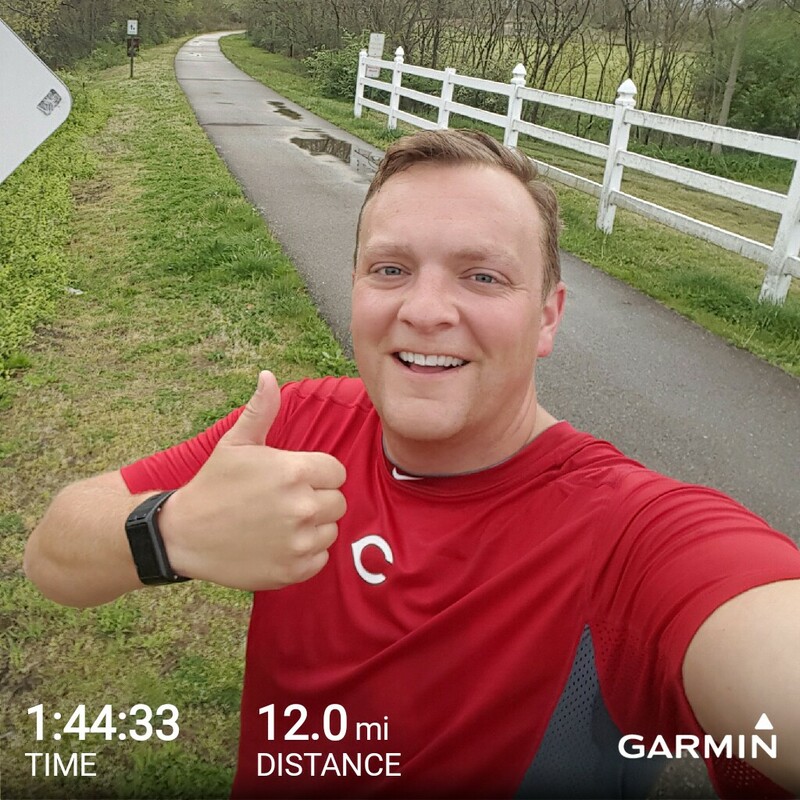 I need to keep in mind this isn’t the end goal and this is just a training run. Although I kinda wish I was watching it since it is the USATF Half Marathon Championship. Today is expected to be the warmest day of 2017 so far! Lots of sun today and a light breeze out of the southeast as our temps climb into the mid 80s. 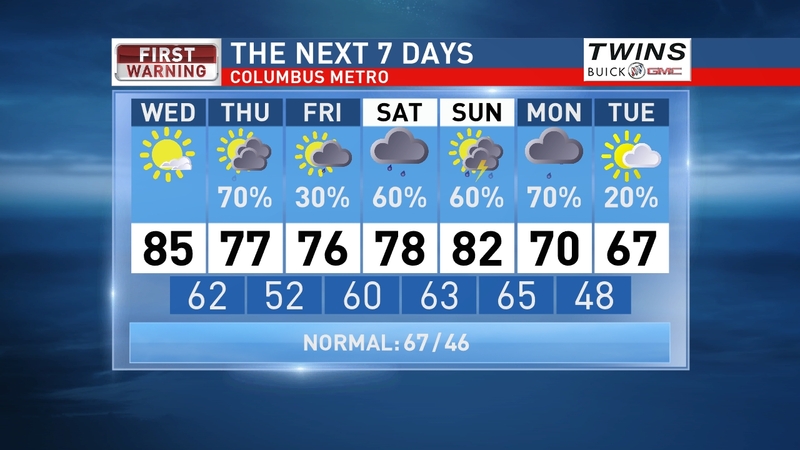 Increasing clouds tonight with scattered showers and storms, mainly midday Thursday. 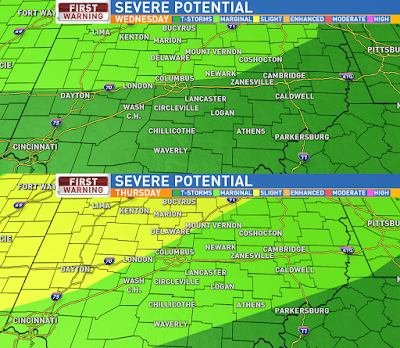 Central Ohio is in the Marginal Risk for severe storms, so a few isolated severe storms are possible. 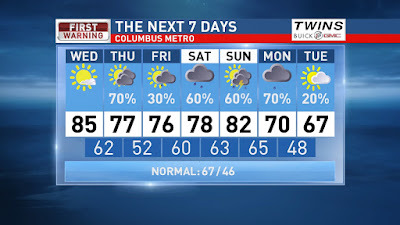 Temps in the 70s Thursday and Friday. 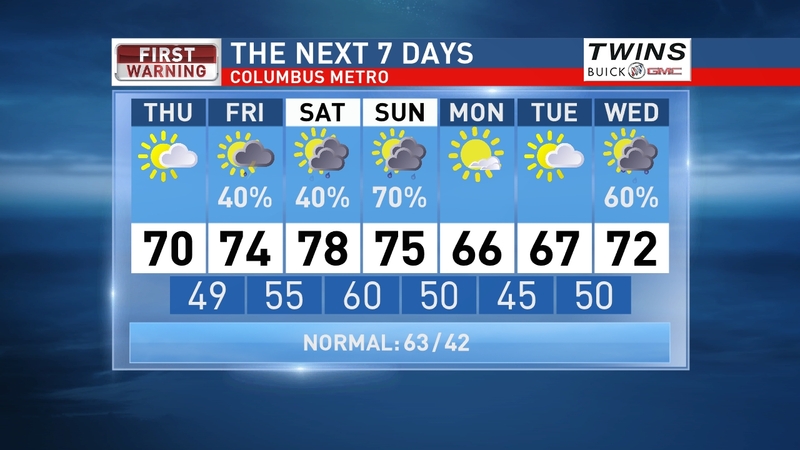 Just a slight chance for rain Friday, however the weekend will bring on and off scattered showers & storms. Have a good one! 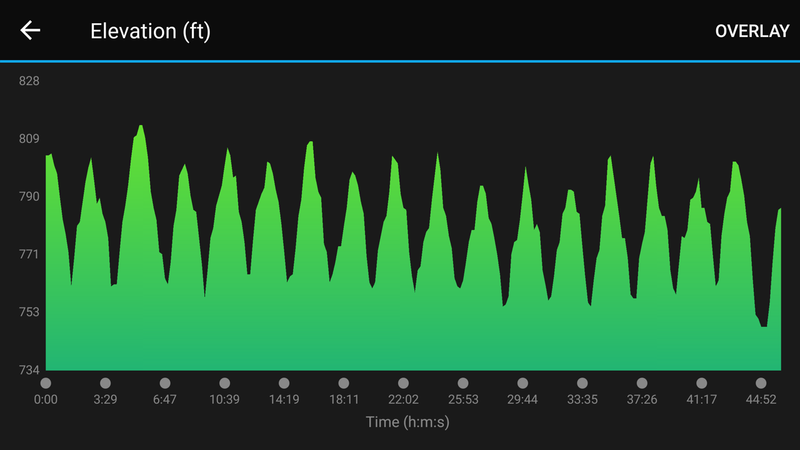 Considering how hilly of a route I planned. 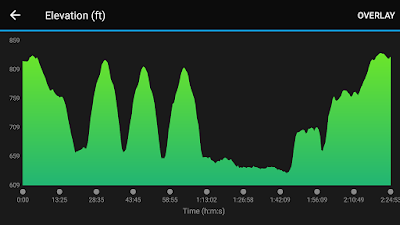 I did some hill repeats and MAN they were brutal. 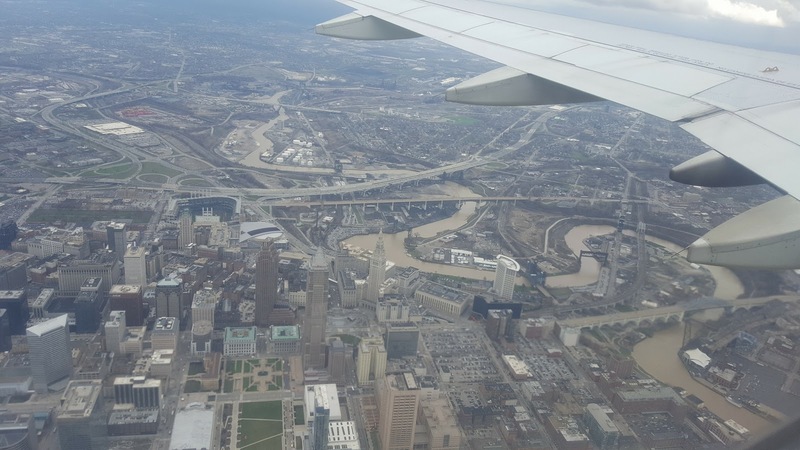 I still need about 500 more feet in elevation climb to match the Youngstown Marathon. 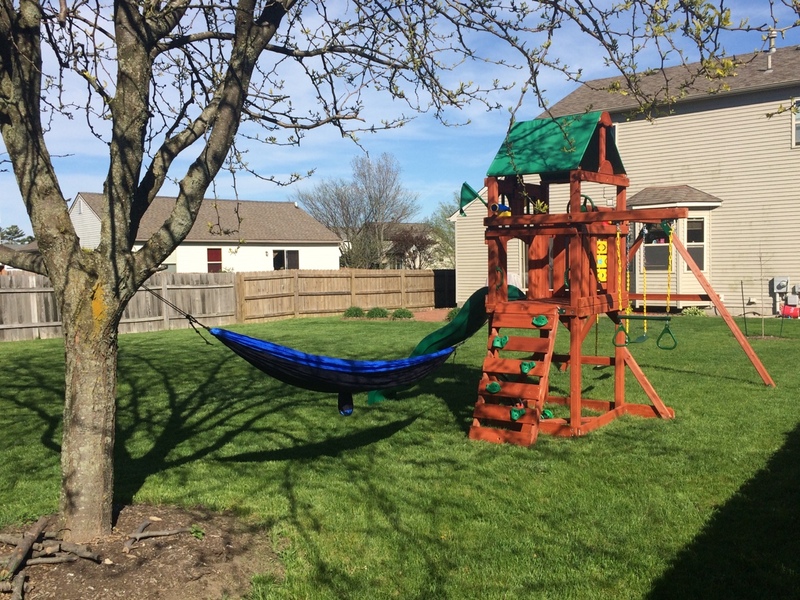 The swing set is all finished in the backyard and Summer is loving it. 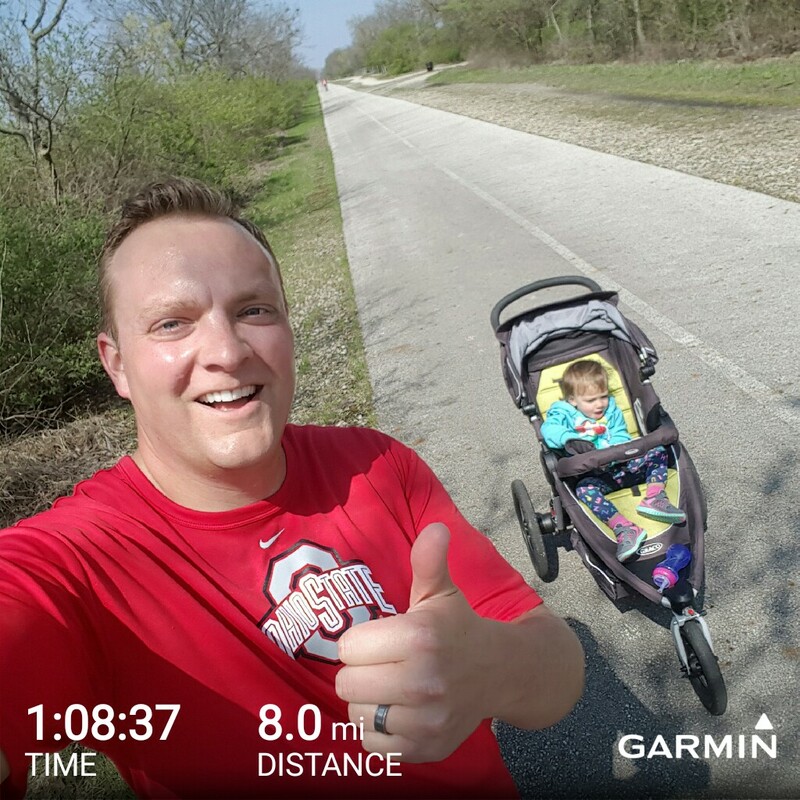 I took her for the four mile run and she fell asleep by the time we got home in the stroller so I had to carefully carry her up to bed. She slept the entire time that I mowed the lawn... WIN! Not much free time yesterday... after mowing I collected the compost from the past year and added it to the tomato and pepper beds in the garden and tilled it into the soil. 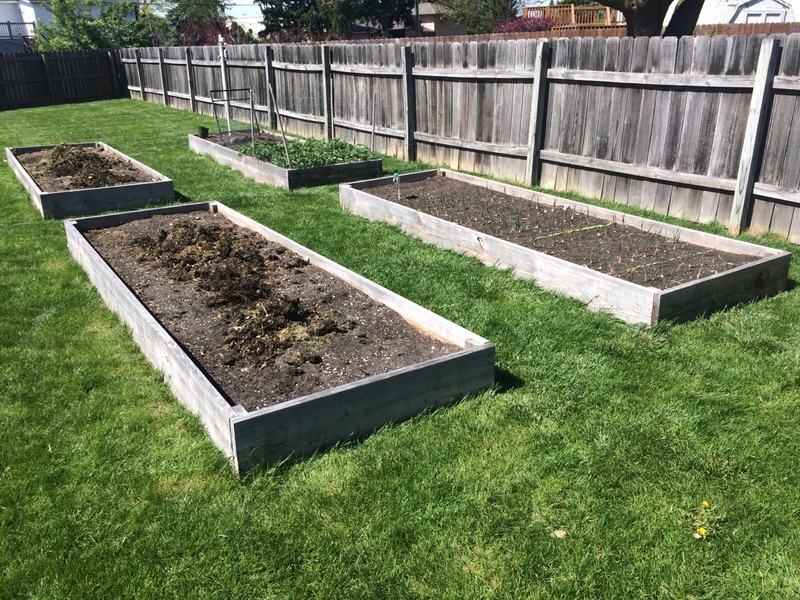 Not planting those just yet, but the beds are ready to go with fresh nutrients! A few rounds of rain on the way, so have the rain gear handy. Today a few spotty light rain showers for the morning and midday. The sun will try to break out some this afternoon and then a few storms possible, mainly to the north for the late afternoon and evening today. 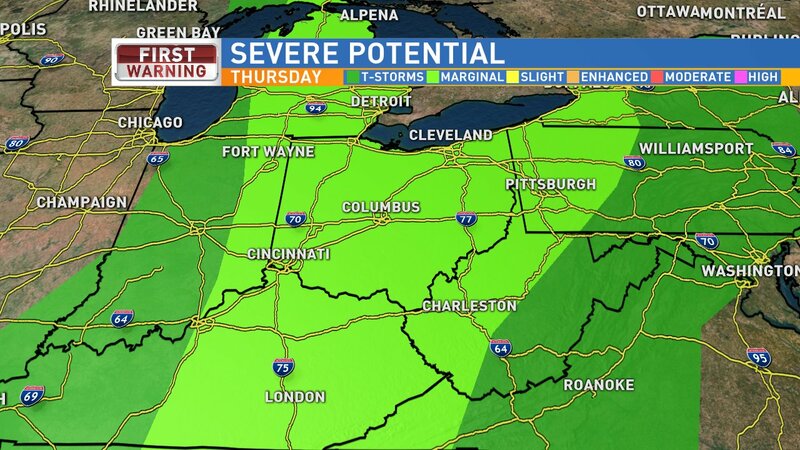 Northern Ohio is in the Marginal Risk for severe storms later today. Staying mostly cloudy tonight then partly sunny tomorrow most of the day. Later tomorrow, scattered showers and storms likely in the afternoon and evening with a cold front moving through. 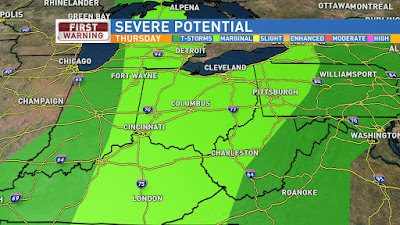 Most of Central Ohio in the Marginal Risk for severe storms Thursday and Northwestern Ohio in the Slight Risk for severe storms. Mostly cloudy and a slight chance for a spotty shower on Friday. More scattered showers and storms on Saturday and early Sunday. Then we dry out for the start of next week. Have a good one! 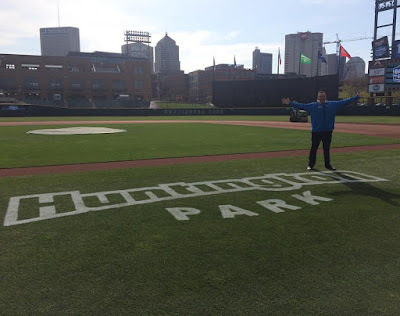 I went down to Huntington Park yesterday for the Columbus Clippers home opener to do the weather. Always love doing the augmented reality forecast from new and awesome places. 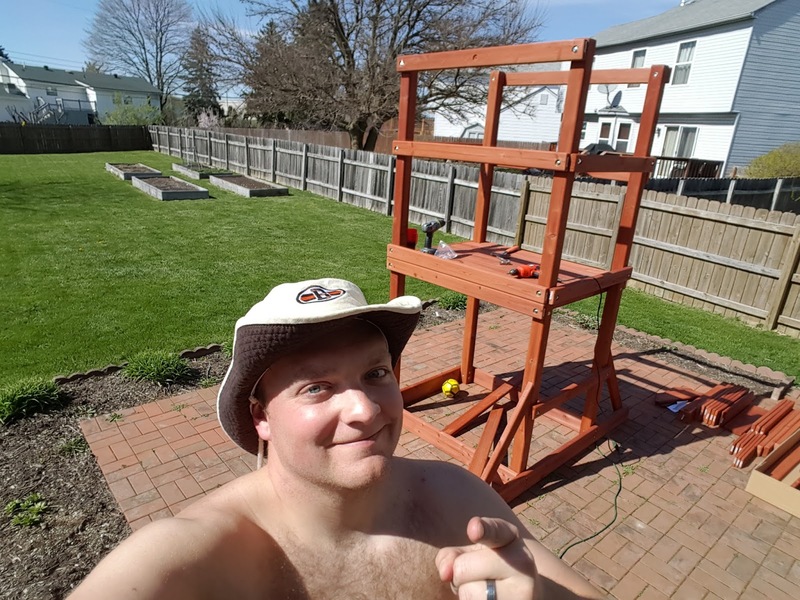 I had a promo shoot yesterday after work and then I spent about 5 hours doing the final assembly on the swing set... Well... mostly final assembly. I only had the structure of the fort built from Sunday and yesterday I framed in the fort room and assembled the rest of the arms, slide, ladder, and roof. I have some small accessories left to put on, but it is basically done and ready for fun. Summer LOVED it when she woke up from her nap. I finished all the safety stuff and small accessories will go on when I get a free 30 minutes the next few days. I was racing the clock to get done what I did. 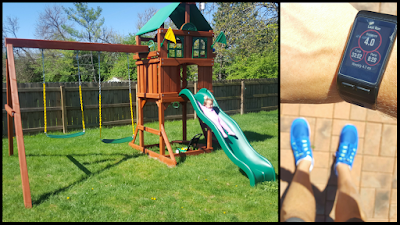 After I put all the tools away, Dawn went for a 2 mile walk with Summer while I ran my 4 miles. It was fun coming around the corner a few times and seeing/passing them. Made it feel like a race. Which, I did PR in my 4 mile distance. Tried getting under 30 minutes, but was 10 seconds shy. 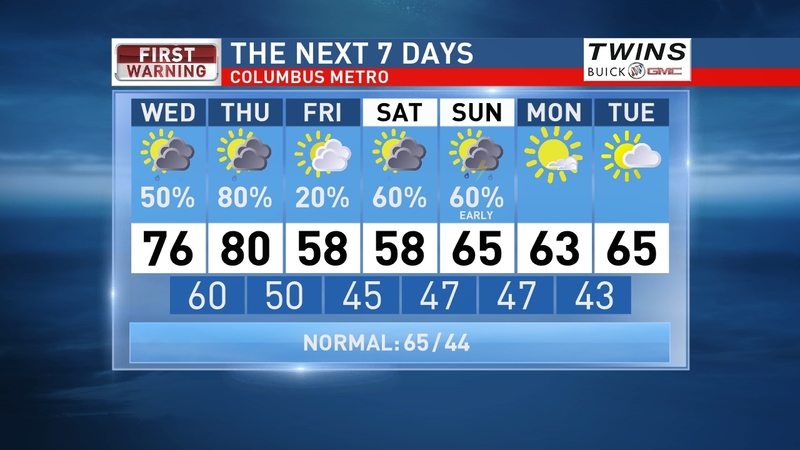 Rain will be hit or miss for Friday and Saturday then the best chance of rain will arrive on Easter Sunday. Have the rain gear handy, especially by Sunday. Temperatures stay warm this weekend with highs in the mid to upper 70s. We will be dry early next week and staying mild. Have a good one! Yesterday morning was a lot of fun. 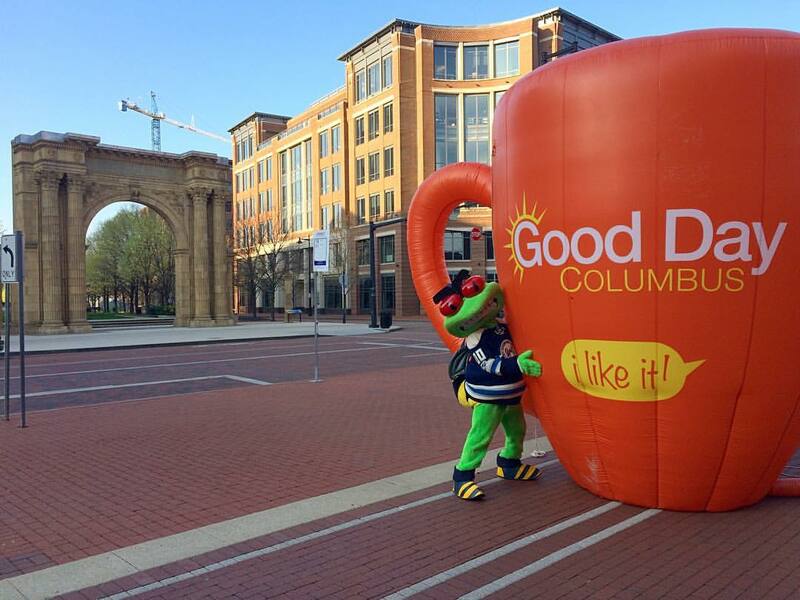 We were giving away Good Day Columbus coffee mugs and Blue Jackets playoff posters. Stinger was out there with me helping chase people down for the giveaways. Dry and warm today with partly cloudy skies then rain returns. Cool & mostly cloudy tonight. 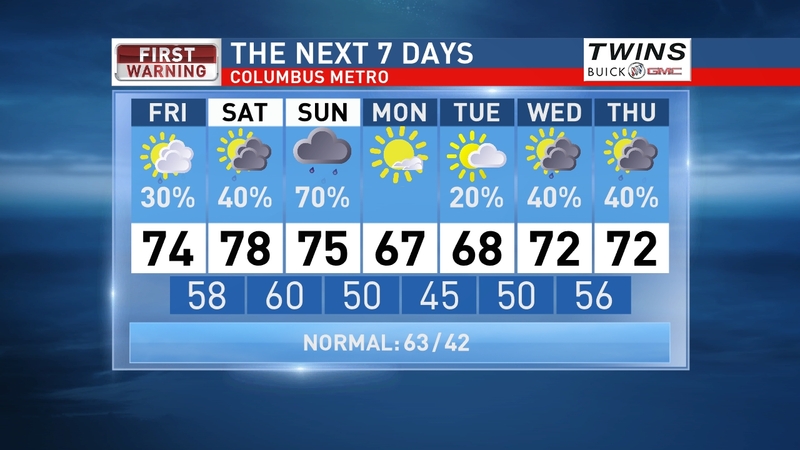 Spotty showers/storms possible Friday then more showers and storms likely for Saturday and Sunday. Severe threat is not very high for the weekend. 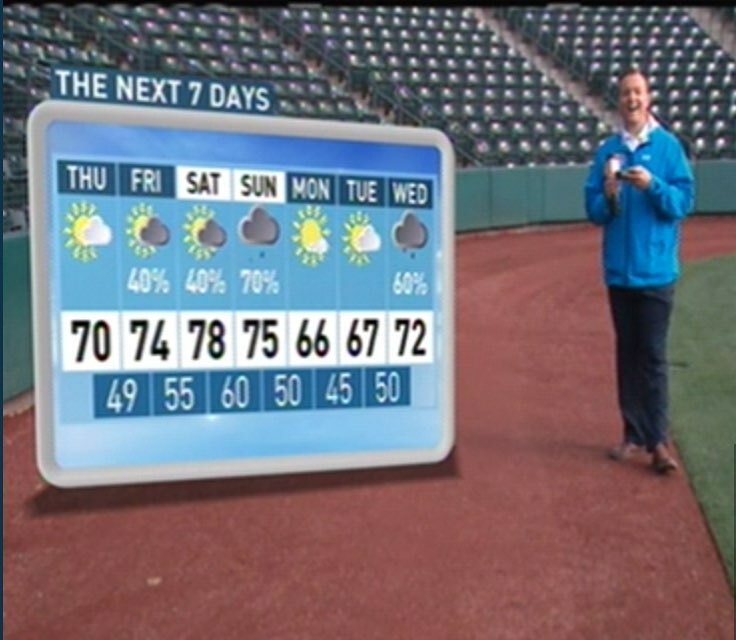 Mild and dry early next week. Have a good one! This video is from Friday. 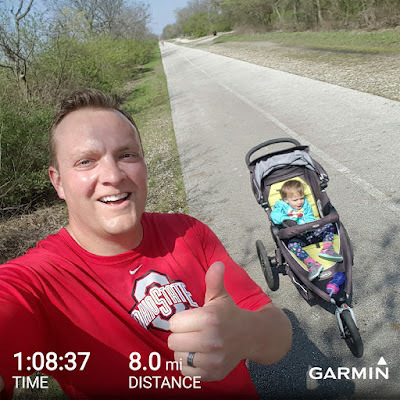 Last fall when I started running, I would occasionally push Summer in the stroller. I was out of shape and would get winded and had to start walking. Well I would always say “Ready, Set, Go!” then start running again. She wasn’t talking much yet but would giggle and go WEEEEEE! I kept doing it the sat several months when we would do family walks around the neighborhood or even with a shopping cart at the grocery and then take off. Now, anytime I use the word “Ready” in a sentence she will say “Set, Go!” The coolest thing is that she has a hard time saying any words with an S at the beginning. It’s been hard for her to transition from the s sound to another sound, but by doing this it’s definitely helped her expand to more words than Set. 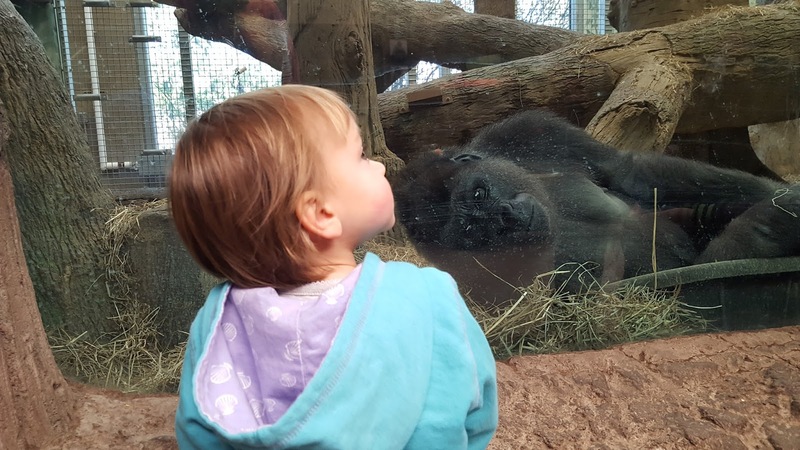 Kids are so dang cool. 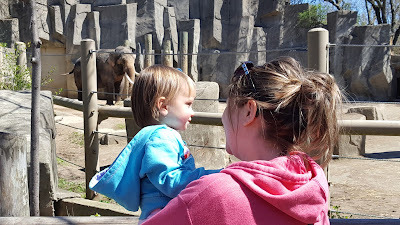 Saturday morning we went to the Columbus Zoo and had a fantastic time! The elephants are always a big hit. We went to Costco afterward and Summer slept with her head on my shoulder and Dawn took a FANTASTIC photo of it. We bought Summer a plastic lawn mower and she pushed it around the backyard when we got home while I mowed too. 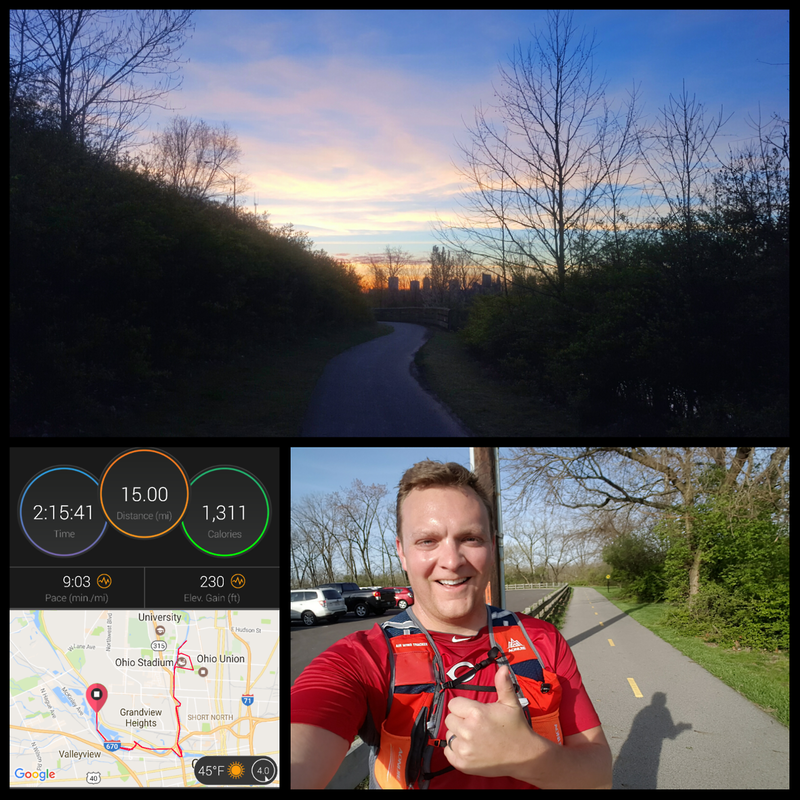 Sunday morning I went out for a fifteen mile run and the weather was fantastic. I love running before the sunrise and watching the sun come up and the sky come alive. 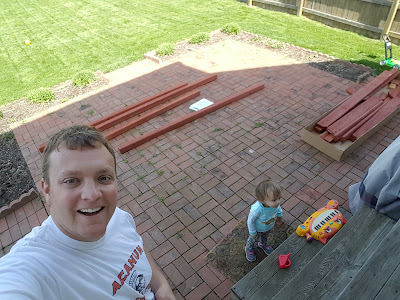 Then, after a big breakfast, Summer and I started assembling the new swing set. Dawn was doing spring cleaning and the house looks fantastic. Eventually it became too hot for the shirt... WATCH OUT!!! I worked for 6 hours yesterday and I am about 60% complete. There is SO MUCH to assemble, but at least it should stand the test of time. Another very warm day for April today with highs in the upper 70s. 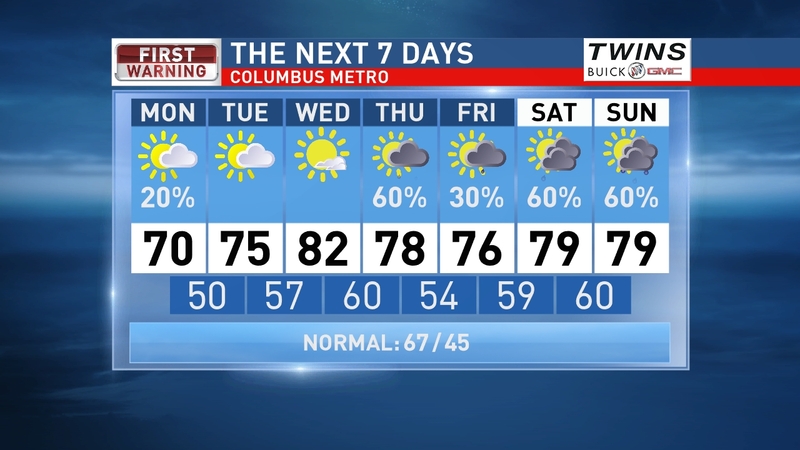 Central Ohio will see a mix of sun & clouds with breezy winds today then storms arriving later tonight. 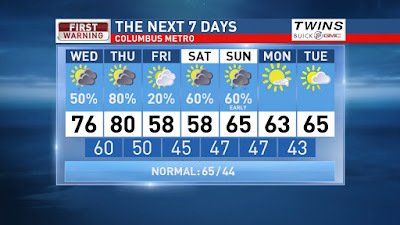 Scattered showers and storms tonight & Tuesday and staying mild. Sun returns by Wednesday with mild temps and we stay dry until Easter weekend. Have a good one! Dawn and I took a trip to Las Vegas over the weekend. 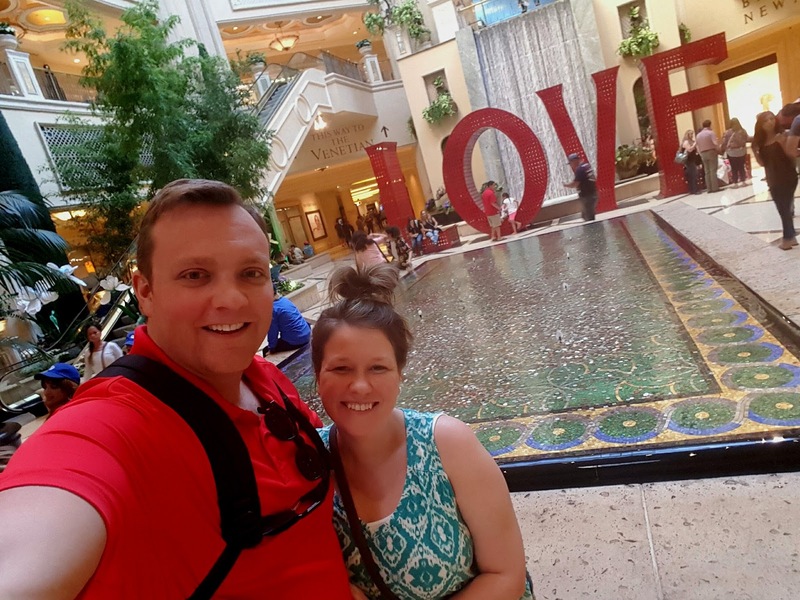 We needed a little reboot and chance to hit the reset button. 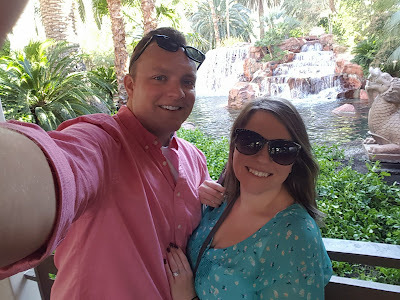 We stayed at the Mirage... mainly because of the pool. 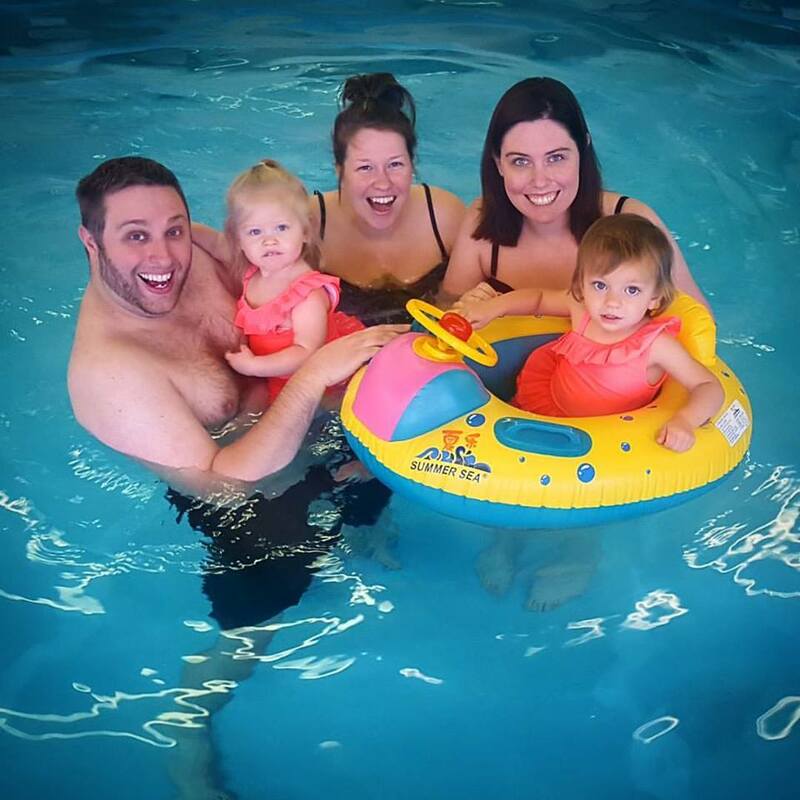 Most of our time was spent at the pool. 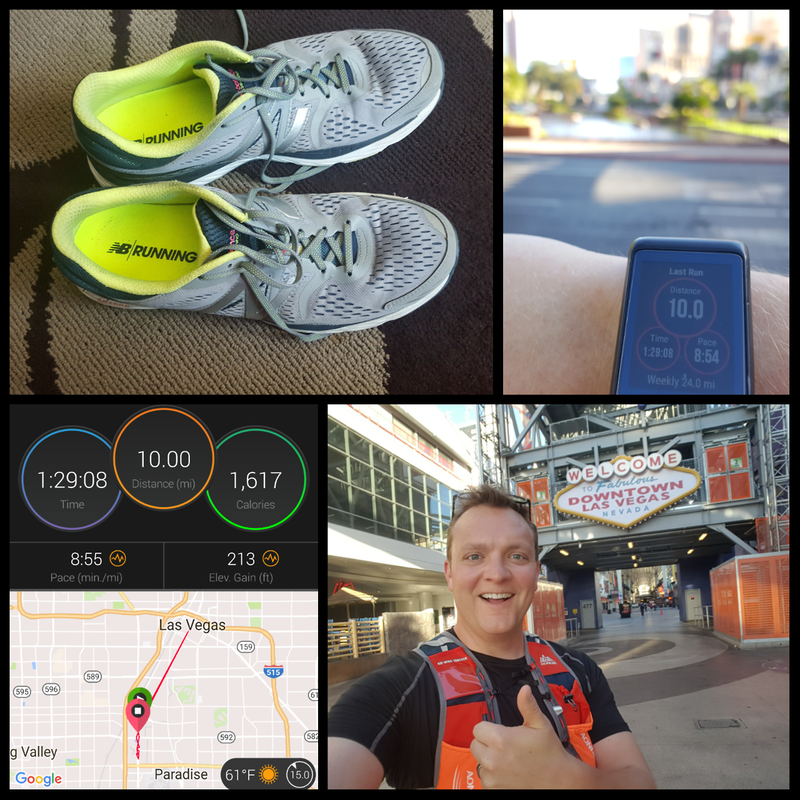 I did go for a ten mile run from the Strip to downtown and Fremont Street then back to the Strip. I left before 7AM and more and more people were coming out as I was wrapping up my run. It was a great trip for the two of us to reconnect and spend time together. Highlight of the trip was the High Roller observation wheel. We used a GroupOn to save some money and it was TOTALLY worth the 30 minute ride. We had a great view of Cleveland as we landed. Summer stayed with Dawn's parents there and was spoiled the entire weekend. We go from Spring back to Winter today! Spotty rain showers during the day with falling temps and strong winds. 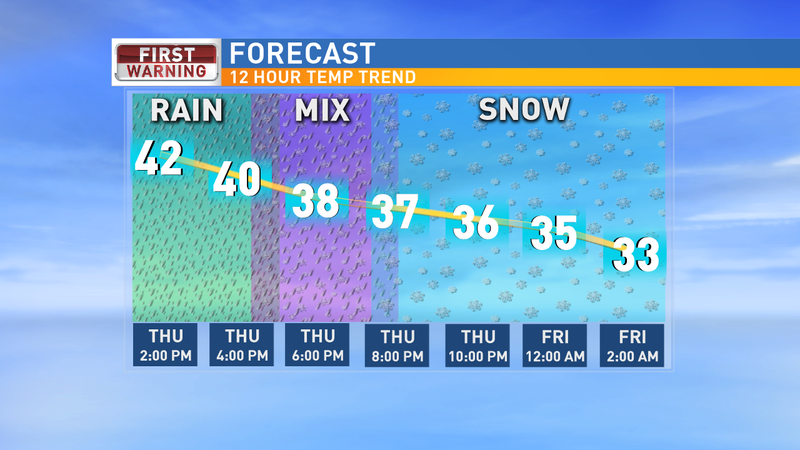 As temps fall this evening we will transition to a rain/snow mix over to all snow overnight. 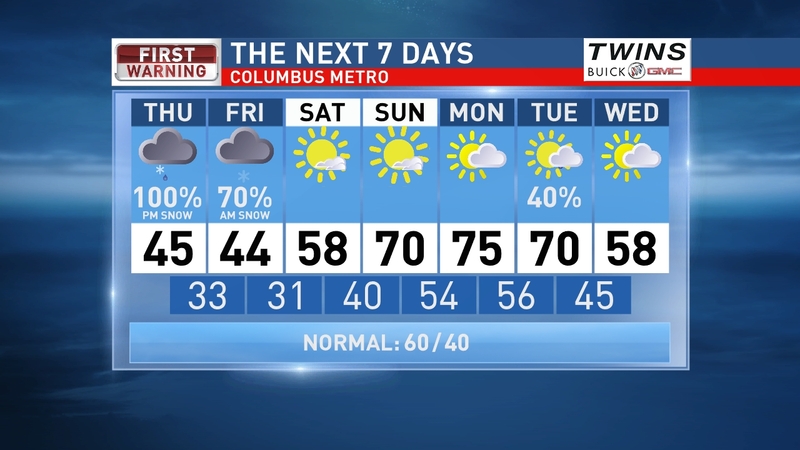 By Friday morning we will see accumulations up to 1" across most of Central Ohio with pockets of more, mainly to the north. 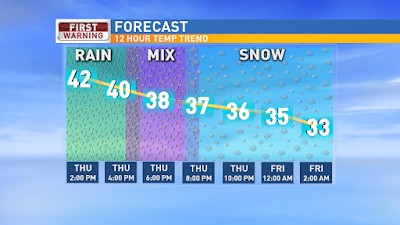 Some early snow Friday then clearing skies later in the day with winds staying brisk through Friday afternoon. Chilly Saturday morning then mild afternoon with plenty of sun. Mostly sunny Sunday with highs back near 70. 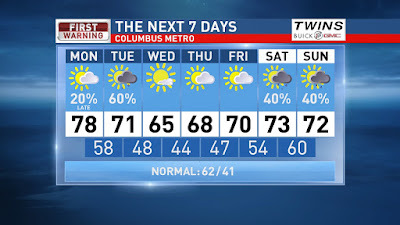 Mid 70s are back by Monday! Have a good one!